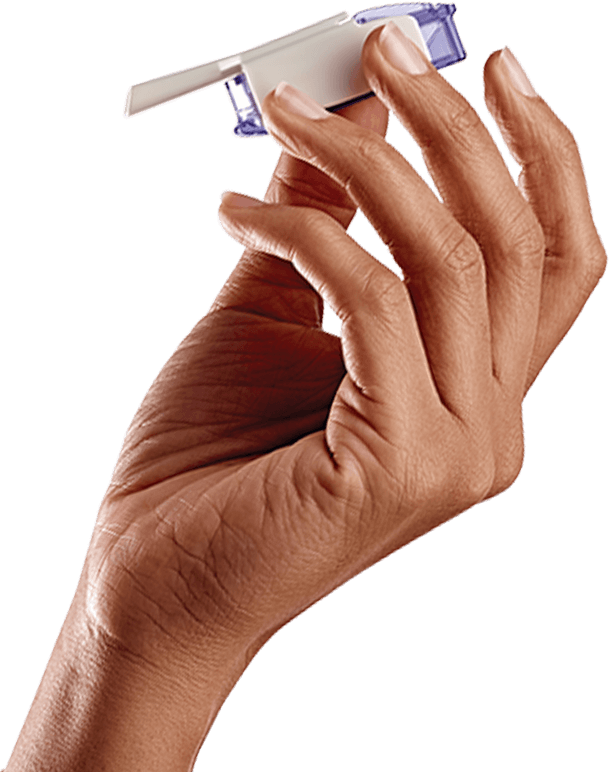 Afrezza is a rapid acting insulin that may help you keep your blood sugar in control after meals. Afrezza is available by prescription only and is for adults living with type 1 or type 2 diabetes. If you are not seeing the blood sugar results you expect, please talk to your healthcare provider. You may need to adjust your dose. When using Afrezza, like any insulin medication, it is important to work with your healthcare provider to find best dose and schedule for you. If you are not getting the sugar control you expect, please speak to your healthcare provider about adjusting your dose. If you have never used mealtime insulin before, your healthcare provider will start you at a dose of Afrezza at each meal to see if this works for you. You may need to adjust your Afrezza dose up or down. Afrezza is supplied in 4, 8 and 12 Afrezza insulin unit cartridges to help the adjustment. Your dose of Afrezza may need to change because of a change in level of physical activity or exercise, weight gain or loss, increased stress, illness, change in diet, or because of other medicines you take. If you have been taking injected mealtime insulin, you probably have settled into a routine and use a fixed number of injected insulin units per meal or snack. There is not a straight conversion from your injected dose of insulin to your inhaled dose of Afrezza. You and your healthcare provider can determine the appropriate dose of Afrezza that is right for you. Ask your healthcare provider what your blood sugar level should be, and when you should check your blood sugar levels. It's important to test your blood sugar levels frequently- especially when starting Afrezza for the first time. Monitoring your blood sugar levels can help you and your healthcare provider determine the right dose of Afrezza your body needs for your meals. You can track your blood sugar levels using our blood sugar log template. Share your results with your healthcare provider who can help determine how well your treatment program is working for you. 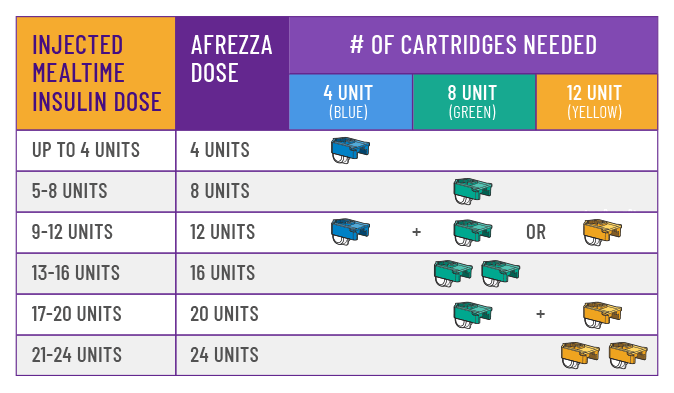 For Afrezza doses exceeding 12 units, inhalations from multiple cartridges are necessary. To achieve the required total mealtime dose, you should use a combination of 4, 8 and 12 Afrezza unit cartridges as pictured above. Afrezza insulin units are different than injected insulin units because Afrezza is inhaled and in powder form, while other mealtime insulins are in a liquid form and injected. Your healthcare provider will start you on a dose considered best for you. 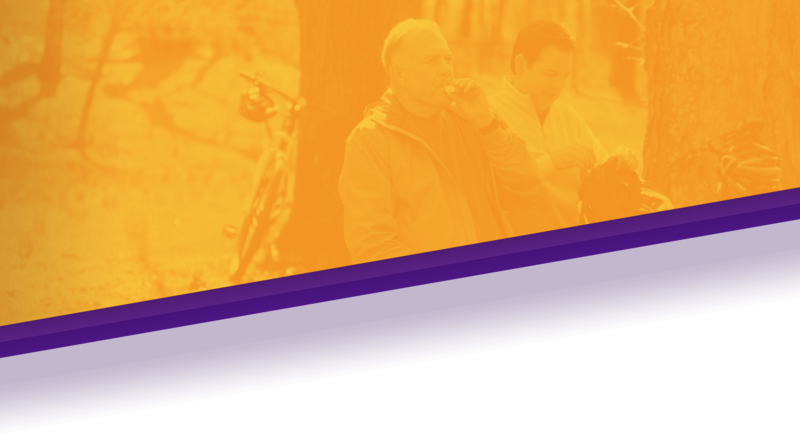 Life is constantly changing and Afrezza can be adapted to your activities and schedule. Afrezza dosing should be individualized. This table can help with initial mealtime dose when converting. As you start your new therapy, get to know how Afrezza works for you and let your healthcare provider know your progress. 4 units: If your Afrezza dose is 4 units, use 1 blue cartridge. 8 units: If your Afrezza dose is 8 units, use 1 green cartridge. 12 units: If your Afrezza dose is 12 units, use 1 yellow cartridge. If your prescribed Afrezza dose is more than 12 units you will need to use more than 1 cartridge to get your right dose. Multiple inhalations will be necessary. 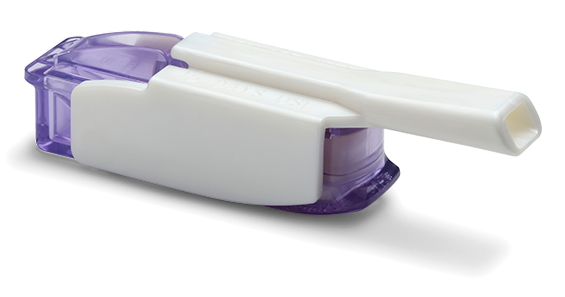 HOLD INHALER: Hold the inhaler level in one hand with the white mouthpiece on the top and purple base on the bottom. 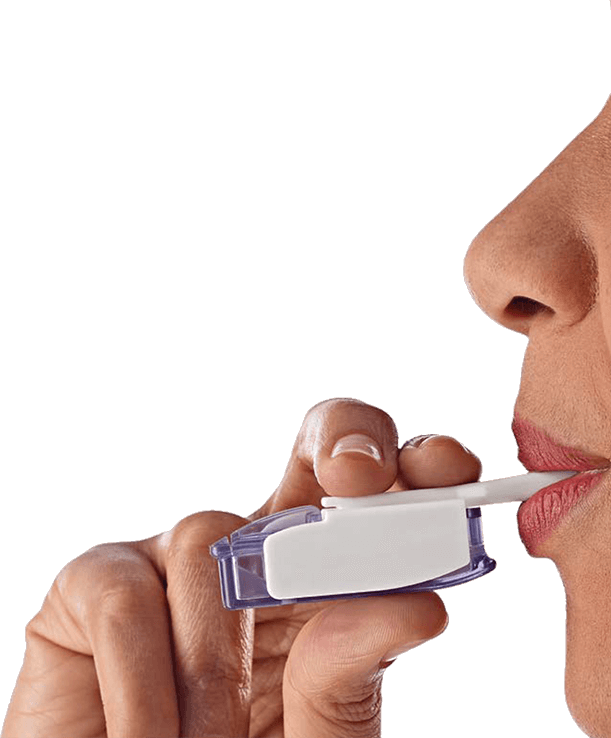 OPEN INHALER: Open the inhaler by lifting the white mouthpiece to a vertical position. PLACE CARTRIDGE: Hold the cartridge with the cup facing down. The pointed end of the cartridge should line up with the pointed end in the inhaler. Place cartridge into the inhaler, making sure it lies flat in inhaler. KEEP LEVEL: Now that the cartridge is loaded, keep the inhaler level from this point forward to avoid loss of drug powder. Do not turn it upside down, shake, or drop, as this could cause a loss of drug powder. Close inhaler: Lower the mouthpiece to close the inhaler (this will open the drug cartridge). You should feel a snap when the inhaler is closed. Remove Cover: Remove the mouthpiece cover. Keep the inhaler level. Exhale: Hold the inhaler away from your mouth and exhale fully. Position inhaler: Keeping your head and inhaler level, place the mouthpiece in your mouth. Close your lips around the mouthpiece to form a seal. Tilt the inhaler downward while keeping your head level as shown. Inhale deeply and hold breath: With your mouth closed around the mouthpiece, inhale deeply through the inhaler. Hold your breath for as long as comfortable and at the same time remove the inhaler from your mouth. Exhale and breathe normally. Replace Cover: Put the mouthpiece cover back onto the inhaler. Open Inhaler: Open the inhaler by lifting the white mouthpiece. Remove Cartridge: Remove the cartridge from the purple base. Discard: Throw away the cartridge in your regular household trash. Repeat steps 2 through 4 for each Afrezza cartridge you need for your dose. Each package of Afrezza comes with 2 inhalers. Use 1 inhaler at a time and replace it after 15 days. 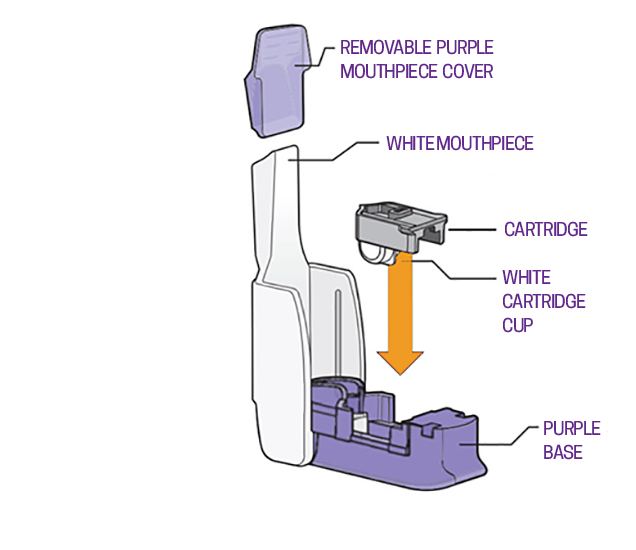 Once you have taken your full dose, make sure the purple mouthpiece cover has been replaced and the inhaler is closed. The Afrezza inhaler can be used for up to 15 days from the date of first use. After 15 days of use, the inhaler must be discarded and replaced with a new inhaler. Keep the inhaler in a clean, dry place with the mouthpiece cover on until your next dose. May be stored refrigerated, but must be at room temperature before use. Never leave or store cartridges in the inhaler. Tip: Keep track of 15 days from when you start using the inhaler with a calendar, or use the chart on the back of the inhaler box. 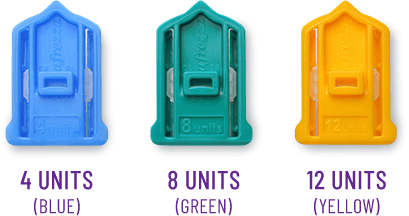 Afrezza insulin comes in 4, 8 and 12 unit color-coded cartridges. Cartridges containing the fast-acting insulin are sealed in foil packages containing 2 blister cards with 15 cartridges each. Cards are perforated so you can easily remove 3 cartridges at a time. It's important not to mix new and used cartridges. Keep new cartridges in the foil pack until right before use. Discard used cartridges right away. TIP: New cartridges have the cup positioned forward near the point. Used cartridges will have the cup positioned in the center. Before use, cartridge and inhaler should be at room temperature for 10 minutes. * If a foil package, blister card, or strip is not refrigerated, the content must be used within 10 days.